"Dinner in first class is a Continental culinary triumph. Foods from the garden spots of the world are specially prepared in SAS kitchens by SAS master chefs. 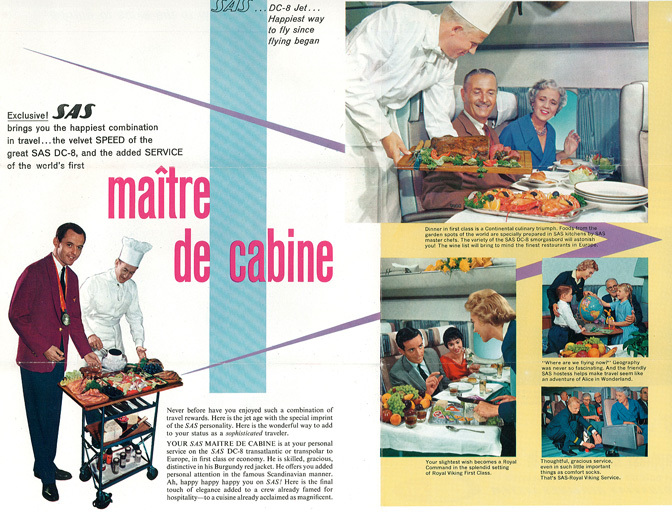 The variety of the SAS DC-8 smorgasbord will astonish you! The wind list will bring to mind the finest restaurants in Europe."